What’s The Difference Between A Texas DUI And A Texas DWI? What’s the difference between a Texas DUI conviction—known as driving under the influence, and a Texas DWI—driving while intoxicated? Both include serious penalties, but if you’ve just been charged with either, you should know they aren’t exactly the same thing. In many US states a DUI is the only charge you’ll receive, and state by state DUI laws highlight the different fines, fees, and penalties you can receive with your charge. Specifically in Texas, what you are charged with depends on a few factors. 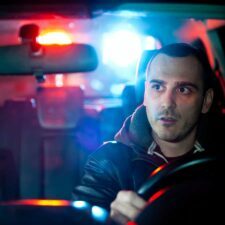 What is a Texas DUI charge? In Texas, you can be charged with DUI if you are stopped by police and your blood alcohol content (BAC) is below the legal limit of .08. If you receive this charge, it’s a Class C misdemeanor on your record. You can also be charged with Texas DUI if police determine you are a minor and you are driving with any amount of alcohol in your system. That means if you are a minor and you blow into a breathalyzer and register anything other than zero, you can be charged with DUI. What is a Texas DWI charge? 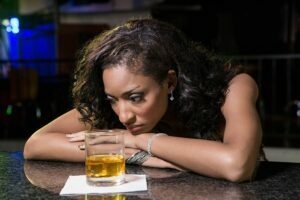 In contrast to the Texas DUI, a Texas DWI is a charge when a person has been stopped for driving while intoxicated, with intoxicated being defined as having a .08 reading on a breathalyzer or having physical or mental impairment due to alcohol or drugs. A Texas DWI is a Class B misdemeanor. That can change if you are arrested with a BAC over 0.15 or if you hurt or killed someone because you were driving drunk. In that case your crime could jump up to a felony, and you could be going to prison. Whether you have been charged with a Texas DUI or a Texas DWI, you’ll be receiving penalties for those charges. The penalties for a Texas DUI will be less severe and could include a driver’s license suspension and fines. Penalties for a Texas DWI could include fines, a driver’s license suspension for a year, and the possibility of an ignition interlock device in any vehicle you drive. In Texas, just like everywhere else, if you don’t want to pay the price, don’t drink and drive. There’s not much that can be said when a public servant makes the choice to drink and drive. It’s hard to understand how, after witnessing the crashes when someone drives drunk, they could do it themselves. It’s common too, or at least it might seem that way after a recent Texas DWI crash involving an off-duty firefighter. The Dallas-based firefighter, Horace Shaw III, was driving after drinking at a local restaurant. He was speeding when he drove over a hill and crashed into an SUV with two occupants: a pregnant teenage girl and her boyfriend. They were both ejected from the vehicle and the teen, Alyssa Pimental, died of her injuries. Her unborn baby died as well. According to witnesses who were there after the crash, Shaw couldn’t walk straight. He declined to answer questions and was taken to jail. Since that time he’s been charged with intoxication manslaughter, and that means a stiff sentence for causing a Texas DWI crash. 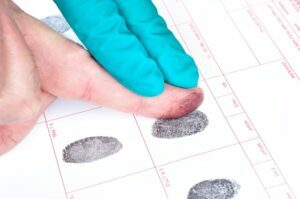 An intoxication manslaughter charge in Texas is much more severe than a first or even second Texas DWI offense. This is a second-degree felony. The offender, whether that person is a public servant or just a citizen of Texas, may spend up to 20 years in prison. He could also have to pay up to $10,000 in fines, and he’ll have to perform community service as well. The tragedy of this Texas DWI crash is that a mother and her unborn baby were killed, all because someone decided to drive drunk. It’s horrible that a firefighter caused it; a man who worked with the department for 12 years, because he should have known better. 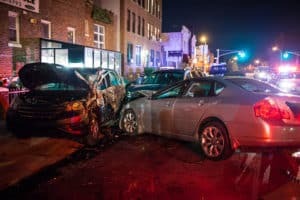 Someone on the front lines of a drunk and drugged driving should have realized what one or two drinks could do to their driving skills. If he had, this never would have happened. If you crash your car at low speed and you’re buckled in with your seatbelt, you can easily get hurt and destroy the vehicle. When you crash at high speeds, like a Texas drunk driving suspect did recently, you can cause a lot more damage. He was driving on an Interstate in Arlington, Texas when he crashed into a pole. A passerby noticed the car was propped up and wrapped around the pole, so he pulled over close by. That’s when he noticed the vehicle was on fire. There were three people in the vehicle but no one seemed to know it was on fire. The driver was unconscious behind the wheel while a passenger was on the phone with police. The witness noticed the fire was spreading and began urging the occupants to get out, and he and another person dragged the driver, still unconscious, out of the car and toward safety. That’s when the flames began rising, and had the witness not come upon the car and helped, the people inside may not have made it out. When the driver woke up the witness asked him if he was drunk and he replied yes, he had been drinking. For making the choice to drink and drive, he lost his vehicle to a fire. He’ll most likely be facing drunk driving charges as well. Thankfully, this Texas drunk driving crash had a somewhat happy ending. All of the occupants survived what could have been a fatal crash. Many drunk drivers aren’t so lucky. 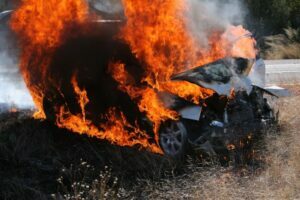 Hitting a solid object at a high rate of speed can kill you instantly, and even if you live, if you’re too drunk to get out of the car and it starts on fire like this vehicle did, help may not arrive in time. This type of crash can happen to anyone who drinks and drives, so think before you drink and hand the keys to a sober driver. We like to think the people who create and enforce state laws are themselves above reproach. 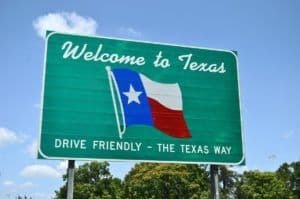 Politicians like state senators and councilmen, as well as law enforcement, should know the law better than anyone, but there seems to be a disconnect between some Texas lawmakers and Texas drunk driving laws. A Tom Bean, Texas city councilman, Benjamin Vincent, is the latest lawmaker in hot water in the Lone Star State. He didn’t just violate Texas drunk driving laws once; he did it twice, and managed to get a police officer fired along the way. Vincent was driving his vehicle on a Saturday night when he veered into oncoming traffic. A police officer spotted him, and when he stopped him he was told by Vincent that he was a city councilman from a neighboring town. During the stop he also found out that Vincent was really drunk, and he admitted to drinking an entire bottle of wine before he drove. Instead of arresting Vincent, the police officer allowed someone to come and pick him up and take him home. 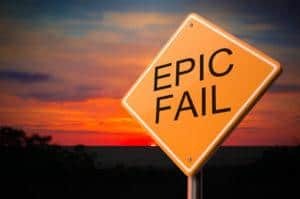 That should have been the end of that, because anyone who’s given a free pass and manages to avoid a DWI should never want to drink and drive again. Unfortunately that was not the case. Having escaped jail and an immediate driver’s license suspension, he got behind the wheel drunk again on another Saturday evening. This time he crashed into another driver. He’s now been arrested on a charge of intoxication assault with a vehicle, and if he’s convicted he could spend up to 10 years in prison. The officer who let him off the first time? He’s been fired from his job. Thankfully the victim in the crash didn’t die. You can take a few things away from a case like this one. To start, law enforcement can’t give anyone a DWI pass, especially someone who should know Texas drunk driving laws. It also calls attention to the fact that the roads would be much safer if all drunk driving offenders in Texas would be required to install an ignition interlock in their vehicle right after arrest. If he had been arrested the first time and he was released from jail shortly after, he could still have made the decision to drink and drive again. A driver’s license suspension won’t stop a drunk driver who’s determined to get behind the wheel; they’ll just drive anyway, so an ignition interlock is the only way to prevent them from driving again. Let’s hope both lawmakers and police learned a valuable lesson from this case in Texas, and the next time someone mentions a city councilman and drunk driving in the same sentence, it’s because they are on the job and spending their time toughening up Texas drunk driving laws. 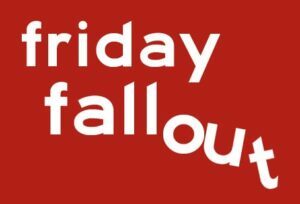 The Friday Fallout: Every Friday Guardian Interlock will bring you a unique drunk driving case that demonstrates the impact, or fallout, of drunk driving. Although the news is full of drunk driving arrests and drunk driving crashes, you don’t really hear a lot about someone making a citizen’s drunk driving arrest. Someone may call 911 because they see a suspected drunk driver on the road, but you don’t often hear about a private citizen formally arresting a driver. But that’s what happened in Houston, Texas recently when Alejandro Fernandez spotted a car that was being driven erratically on the roads. He was with his family at the time, so someone pulled out a camera and started filming the driver of the other car. You can watch the video and see how they trailed the suspect, following him into a parking lot and waiting for him to pull over. Obviously the driver realized he was in trouble and, wanting to avoid a drunk driving arrest, attempted to pull his car out of the parking lot. That’s when Fernandez and another man pried open the door and pulled him out of the car. While holding the suspect, Fernandez performed a citizen’s drunk driving arrest and waited with him for police to arrive. How does a citizen arrest work? According to Texas laws, anyone can arrest another private citizen without a warrant if they have committed an offense within their view and the offense is a felony or against the public peace. 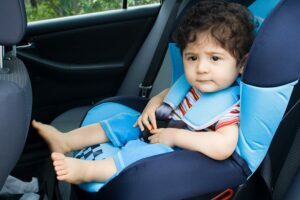 In this case Fernandez knew that the parking lot was full of parents and their children, so he had to make the arrest to stop the man from driving again. That’s a smart decision, especially considering there are many drunk drivers on the roads who aren’t stopped until the crash and kill someone. All’s well that ends well with this drunk driving arrest, and although police do rely on citizen’s help to stop drunk drivers, they’d much rather you pull over if you need to, safely call 911 to report that driver, and wait for police arrive. That way you’ll have helped apprehend a drunk driver, but you won’t get hurt yourself.